Web Site © Copyright 2001-2014 by Carol Goldberg, Ph.D. 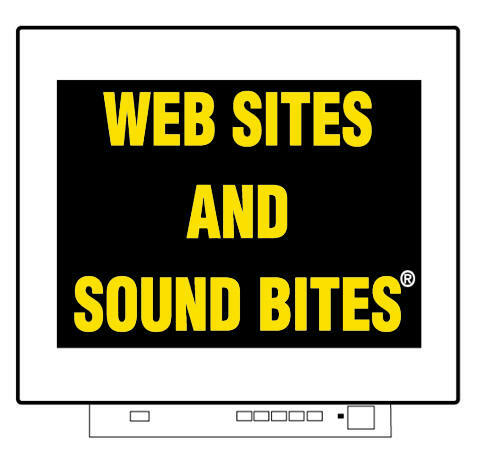 Web Sites and Sound Bites® is a Registered Service Mark and Catalyst Coaching SM is a Service Mark filed with the U.S. Patent and Trademark Office. All rights reserved. Q: What is the purpose of your TV program? "To provide quality information in a way that is easily understood by a general audience." Q: What type of information? "What is valuable and what I know a lot about. Examples are psychology, particularly related to health, education, and business. Q: What criteria do you use to select topics? "Usefulness, wide appeal, and novelty." Q: Why did you decide to do this program? "The public is fascinated by psychology, but too often gets a distorted picture of it. They are misled by Dr. Tabloids whom they assume are psychologists, but who are not. Sensational 'tabloid talk shows' exploit by revealing identities and escalating problems. There is a need for antidotes and respectful alternatives." Q: Anything you want to highlight? "Optimism, strengths, solutions rather than problems." "Psychologists do more than work with mental illness and psychoanalysis. I define psychologists as the people experts. Thus, the program features psychologists who use their skills in different ways. Q: What is the most important way you use your skills? "To motivate people to be healthy, a mind-body challenge. Too many people abuse themselves with unhealthy foods, tobacco, drugs, and alcohol. They don't exercise. They don't sleep enough. They don't know how to manage stress. These are the issues in which I specialize." Q: Why an interview format? "We get to know the people and experience their passion for their work. When host and guest are both experts, discussions are more meaningful, spontaneous, and lively than teleprompter questions read by an actress." Q: What do you hope people will say about your program? "That they are glad they watched it even when they have no personal connection with the topic." Q: What challenges are there in doing this program? "I find talking on television is the easy part. What's difficult about producing and hosting a volunteer operation is not having the customary technical assistance. Without camera crew, a teleprompter, or a cue person, cameras are locked in place and I am the Floor Manager. Since shows are recorded without any script, rehearsal, or editing, there are challenges along with the benefit of live spontaneity. For efficiency, we do four programs in a row, with only a few minutes between them for me to change outfits (according to a computer data base I did matching jackets and scarves). My administrative experience and stress management skills certainly come in handy. 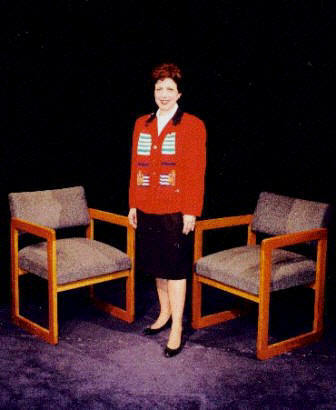 I also understand the technology of television production, having formal training in it starting when I was in college. While I have video editing skills, none of my programs are edited except for the bars and tones leader at the start, necessary for studio fine-tuning broadcasting, but not for video clips on web sites. I made the decision not to edit so the shows have live spontaneity. Fortunately, our amazing Director, Regina Watkins, skillfully can do the control room work of several people. My husband gives his only day off to help with the program. They not only make this show possible, but also make it look good." "This was a far bigger challenge than I ever anticipated. People familiar with TV production told me they would never do a program with a skeletal crew of two, no financial support, the tremendous time required, and other obstacles, but I view it as akin to why people climb mountains. When it's uphill, I think of pleasure derived from helping people, which is the reason why we become psychologists and other helping professionals. Television is a means to reach and help more people. Now, seeing the professional quality results and receiving appreciation from viewers make it all worthwhile."